The 4th Torneo Internacional de Ajedrez Ciudad de La Laguna is taking place on 5-11th April in San Cristóbal de La Laguna, Tenerife. 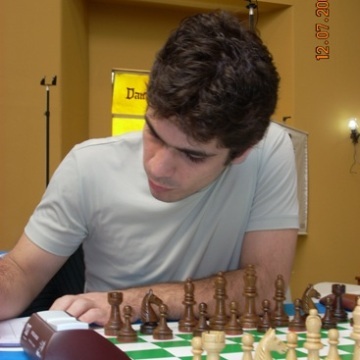 Many players from the recently concluded La Roda Torneo Internacional de Ajedrez, including the winner GM Andre Diamant, his compatriot IM Krikor Sevag Mekhitarian, and Peruvian family Cori, and from the Pedro Lezcano Montalvo Memorial, including the champion GM Aleksa Strikovic, as well as GM Bojan Kurajica and GM Dragan Barlov, are continuing to tour open tournaments around Spain. Ciudad de La Laguna Open is being played over nine rounds of Swiss pairing system, with the Fischer time control of 90 min + 30 sec increment. The generous prize fund totals 15.000 EUR, with 3.000 EUR reserved for the winner. 122 people signed to participate, top seeded is Cuban champion GM Lazaro Bruzon Batista. IM Krikor Sevag Mekhitarian held GM Bruzon to a draw in the round eight and is now very close to achieving a GM norm. Mekhitarian and four others are currently tied on the first place with 6.5 points each. The final round is starting early on Sunday, at 9:30 local time.